further it becomes an enchanting tool in itself for the sales professionals who have a vibrant pitch in rendering the finer details of the products through LCD TV’s. This pitch on par with the LCD TV’s has always been noticed by the mass audience and enables you to stand out in the competition. Anecdote: TV’s in specific are the most amazing tools which are being ardently used by most sales personnel to interact with potential audiences. VRS Technologies have always been quiet vigil with reference to the specific preferences of the customer in regards to the size. In the event that if a customer prefers to have a smaller range of LED TV’s which could eventually fit into their stall, VRS Technologies have constantly ensured the 80 inch LED TV which could well accommodate the smaller stall. As per our analogy, the smaller screens are quite sleek and could be very well suited for a training session and for grabbing the customer’s attention in one go. VRS Technologies have always been taking initiatives to have the LED TV’s being installed at the customer’s said premises. We have a proven track record of hassle free maintenance and servicing during the rental period of all the LCD TV and LED TV brands. Our technical team is proficient enough to render the technical support to some of the big brands such as the Samsung, LG, Sony, Phillips etc. We also provide the excellent maintenance and service for all the rental projects that we undertake. Our assurance has always been to make a customer happy and satisfied with our range of services during the lease period. Apart from the on-site co-ordination which happens during the trade-shows, our technical support are quite competent to ensure the proper technical support both onsite and from our service center. Apart from that, our technical support team further foresees that there are no inherent bottlenecks in the LED TV which could lead to embarrassment. In the event that you are opting for an LED TV for your product presentation, you can be rest assured that we would assist you with an excellent and premium quality LED TV which could serve your purpose. Please do not hesitate to call us on 00971555182748 or 04-3866001. 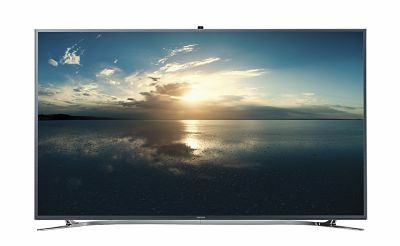 In the event that you wanted more comprehensive information about LED TV’s you can visit our official website at www.vrscomputers.com.